Born Richmond, Kentucky. Date 25/08/47. He studied Political Sciences at Eastern Kentucky University (EKU), graduating in 1969 in political science. During the 1970s he served in the US army, based in South Korea where he was in charge of a munitions storage facility. Tom Thurman joined the FBI in 1977 and after several years, joined the FBI’s Crime Lab Explosives Unit where he is said to have worked on some major terrorist cases including the bombing of the US Marines base in Beirut (1983) and the Oklahoma City bombing (1995). He was promoted to Director of the Explosives Unit in 1993. By the time of the Lockerbie bombing, in December 1988, Thurman was a FBI Supervisory Special Agent (SSI) and it was in that capacity that he appeared at Lockerbie barely 24 hours after the bombing. He was to play an important and highly controversial role in the Lockerbie case. Thurman claimed to have identified the fragment of printed circuit board (PCB) as being from a MEBO MST13timer which, in turn was to be the “golden thread” which linked the bombing to Libya and Abdelbasset Al-Megrahi. It was later shown that it was not Thurman who identified the fragment and nor was this Thurman’s only dubious claim. His evidence to a grand Jury on the Lockerbie case also contained many inaccuracies and over several years in the 1990s allegations of distorted and falsified evidence were made against him by Dr Frederic Whitehust and others. Dr Whitehurst is is a senior FBI forensic scientists. 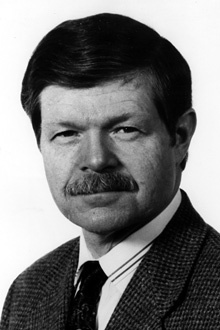 Following a review by the US Inspector General, in 1997 Thurman was removed from all FBI crime labs and disbarred from acting as an expert witness. The review found that he had testified as an expert in areas in which he had no expertise and had tampered with others’ forensic reports thereby distorting them in favour of the prosecution. Perhaps not surprisingly, Thurman, by now utterly discredited, was not called to the Lockerbie trail at Camp Zeist, but this has not stopped him making occasional TV appearances as a forensic explosives expert. Tom Thurman is currently based at Eastern Kentucky University where he teaches in the schools of Safety, Security and Emergency Management. I’ve often wondered how much access this man really had around the crime scene and Dexstar in the first year or so of the investigation and claims to have been “processing evidence”. He is on the ground within a matter of hours, he “identifies” PT35b as being a Mebo fragment and prior to December 88 is over in African finding “identical” timer. We now know pt35b wasn’t really identical of course and was most likely planted………….